This fall Mothers Against Drunk Driving marks its 25th anniversary. The organization certainly has much to celebrate: Deaths from drunk driving are down more than 35 percent since the early 1980s. We no longer chuckle at the bumbling drunk who can barely get his key into the ignition — we scorn him. Hopefully, we arrest him, too. Unfortunately, MADD has come to outlive and outgrow its original mission. By the mid-1990s, deaths from drunk driving began to level off, after 15 years of progress. The sensible conclusion to draw from this was that the occasional drunk driver had all but been eradicated. MADD's successes had boiled the problem down to a small group of hard-core alcoholics. It was at about this time that MADD began to move in a different direction, one not so much aimed at reducing drunk driving fatalities but at stripping DWI defendants of basic criminal rights. MADD also seemed to expand its mission to one of discouraging the consumption of alcohol in general — what critics call "neo-prohibition." MADD's biggest victory on this front was a nationwide blood-alcohol threshold of .08, down from .10. But when two-thirds of alcohol-related traffic fatalities involve blood-alcohol levels of .14 and above, and the average fatal accident occurs at .17, this move doesn't make much sense. It's like lowering the speed limit from 65 to 60 to catch people who drive 100 miles per hour. In fact, the U.S. Government Accountability Office reviewed all the statistical data and concluded "the evidence does not conclusively establish that .08 BAC laws by themselves result in reductions in the number and severity of crashes involving alcohol." Indeed, many critics of the .08 policy predicted that the new law could make matters worse by using up scarce law enforcement resources to go after these new "drunk" drivers who don't pose much of a threat to highway safety. This is primarily done through the use of highly-publicized roadblock sobriety checkpoints, in which 12 to 20 police officers stop every passing car to make sure the driver hasn't been drinking. The Supreme Court gave its OK to the road blocks in 1992, despite conceding that they may violate the Fourth Amendment. Former Chief Justice William Rehnquist wrote that the threat to public health posed by drunk drivers was reason enough to set aside concerns about searches without probable cause. Given that they're usually publicized, the primary effect of these roadblocks is to deter social drinkers. The hard-drinkers, the real threats to highway safety, know to avoid them. Sure enough, after former President Clinton signed .08 into law in 2000, drunk driving fatalities began to inch upward again — after two decades of decline — suggesting that the real drunk drivers were successfully avoiding the roadblocks. Thankfully, fatalities fell again last year, but that hardly proves MADD correct — deaths continued to go up in those states that employ sobriety roadblocks. The corresponding fall in fatalities in states that refuse to use the roadblocks more than made up the difference, suggesting that, freed from roadblock duty, law enforcement was able to work more effectively to catch drunk drivers. Many local police departments have noted the inefficiency of roadblocks and given up the practice, despite the prodding from MADD and the federal funding that comes with them. Of course, many states and municipalities still use roadblocks. But they use them under the guise of looking for drunk drivers, then ticket motorists for a variety of infractions, only a small percentage of which involve driving while intoxicated. In other words, they've become revenue generators. A newspaper account of one recent North Carolina checkpoint, for example, found officers ticketing motorists for more than 45 infractions. Only three involved driving under the influence. That's actually high. 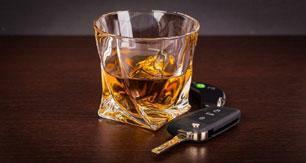 Nationwide, less than .02 percent of motorists stopped at road blocks are arrested for DWI. MADD has also worked to undermine the criminal protections of accused drunk drivers — protections routinely granted to accused murderers, rapists and other felony crimes. MADD, for example, has pushed to impose tougher penalties on motorists who refuse to take roadside breath tests than on those who take them and fail — effectively turning the Fifth Amendment on its ear. The organization also favors "administrative license revocation," which means the revocation of the driver's licenses and, in some cases, the confiscation of the vehicles, of those accused of drunken driving before they're ever given a trial. The organization is also pushing the widespread use of ignition interlock devices, in which a driver must blow into a tube to start his car, then blow again every 20 minutes or so while driving. Washington state recently passed a law allowing judges to mandate the devices in the cars of people merely accused of drunk driving, not convicted. And the states of New Mexico and New York have both considered legislation that would require the devices in every car sold in-state. The New Mexico bill is stalled in the state senate after being passed by the house. The New York bill was initially killed, but it gains more votes each time its determined sponsors reintroduce it. MADD is also pushing its agenda onto family laws, including a zero tolerance policy for divorced parents. Under the bills MADD is trying to push through state legislatures, a parent caught consuming one beer or glass of wine before driving could face penalties that, according to MADD, "should include, but are not limited to" — "incarceration," "change of primary custody," or "termination of parental rights." This means that if you take your kid to the game, have a beer in the third inning, then drive home, you could very well lose your rights as a father. Even MADD's founder, Candy Lightner, has lamented that the organization has grown neo-prohibitionist in nature. "[MADD has] become far more neo-prohibitionist than I had ever wanted or envisioned ...," Lightner is quoted as saying in an Aug. 6 story in the Washington Times. "I didn't start MADD to deal with alcohol. I started MADD to deal with the issue of drunk driving," she said. Unfortunately, the tax-exempt organization has become so enmeshed with government it has nearly become a formal government agency. MADD gets millions of dollars in federal and state funding, and has a quasi-official relationship with the National Highway Traffic Safety Administration. 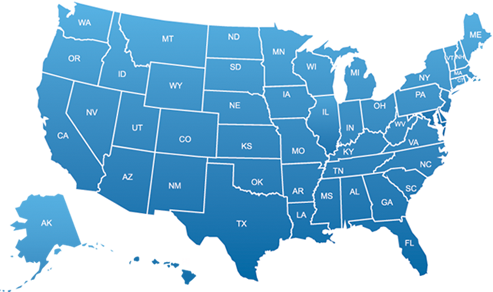 In some jurisdictions, DWI defendants are sentenced to attend and pay for alcoholic-recovery groups sponsored by MADD. In many cities, MADD officials are even allowed to man sobriety checkpoints alongside police. On the occasion of its 25th anniversary, perhaps its time Congress revisit the spigot of federal funding flowing to MADD, and consider revoking the organization's tax-exempt status. Clearly, MADD isn't the same organization it was 25 years ago. It has morphed into an anti-alcohol lobbying organization. There's nothing wrong with that — it's certainly within MADD's and its supporters' First Amendment rights. But taxpayers shouldn't be forced to subsidize them. Radley Balko maintains the The Agitator weblog.